Way before I found out I was pregnant, I knew that I wanted to be one of those babywearing moms. I loved the idea of having the baby close but also having your hands free to still get stuff done like cook dinner or clean the house. I recently found a company called Snuggy Baby which sells baby slings and wraps, cloth diapers, etc. 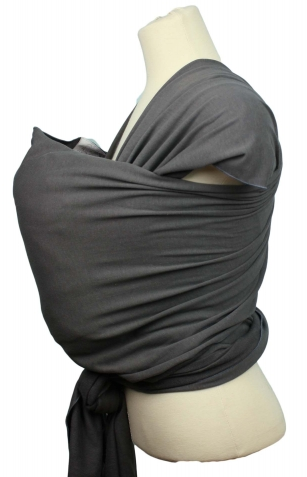 For my review, I chose the charcoal gray baby wrap. This wrap retails for $55 on the Snuggy Baby website. It is made of 100% cotton. I liked that it is a neutral color and matches with most clothing. I almost chose black but I liked this option better. 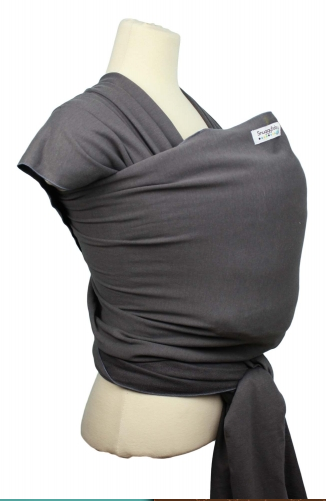 The wrap is 5 1/2 yards long and wraps up so you can hold the baby easily. I can't wait to be able to try this wrap! It is very soft and seems comparable to other popular brands of wraps. I like that it is neutral enough for both my husband and I to wear it. I can just see us taking the baby to the farmer's market, on walks, and wearing the baby around the house with this wrap. ***To receive 10% off your order, use the code NUTRITION now through May 31st. The giveaway will be for a $45 gift certificate to Snuggy Baby to one winner. I like the Caribbean Stripe Baby Wrap. It's cute. I like the diaper covers. The elephant print diaper is SO cute. I would want to try the elephant print diapers. i'd love a madras baby wrap. LOVE!!! I would love to try this carrier!